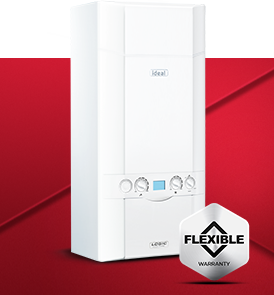 In 2005 Ideal Boilers celebrated its centenary; a centenary of innovation, evolution and industry. From taking boilers from basements into kitchens in the 1920s, right through to introducing pioneering, high efficiency technologies, Ideal has been at the forefront of the domestic and commercial heating markets. Representing the next generation in heating design, the Logic range of boilers offers state-of-the-art technology in a practical, compact unit that fits easily into any standard kitchen cupboard.Available in a range of outputs, the Logic range comes complete with flexible parts and labour warranty package. Designed to be installed with minimal fuss and supported by a parts and labour warranty to suit you, the Logic range is recommended by the Energy Saving Trust and was awarded the Queen’s Award for Enterprise in Innovation in 2013. The Logic System range of appliances from Ideal provides a simple and reliable solution for a wide variety of sealed domestic systems. Available in a choice of four outputs – 15kW, 18kW, 24kW and 30kW – the Logic System provides a dependable and efficient solution for new and replacement installations alike. The Logic Heat is highly efficient and easy to operate thanks to straightforward controls featuring a clear digital display. Supported by a parts and labour warranty to suit you, the Logic Heat is a reliable and efficient heat only solution for domestic installations. 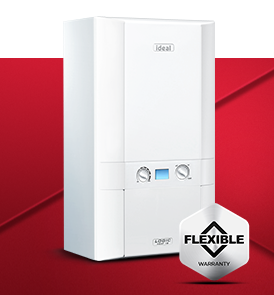 The Logic Combi ES high efficiency combination boiler is optimised for social new build compliance following the SAP 2009 design procedure and is particularly beneficial for small social new build properties. 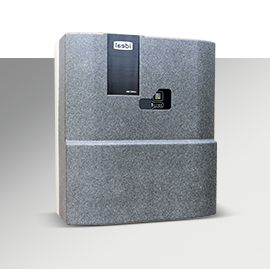 Designed to take the headache out of meeting building regulations, the Logic Code Combi ES from Ideal is a simple one box solution, capable of supporting up to level 4 of the code for sustainable homes. The new ES models optimise design for SAP and DER ratings. 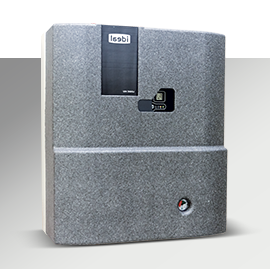 The Ideal Heat Interface Units (HIU) are heat energy transfer units, designed for use in conjunction with centralised boilers, district heating or central energy systems.